Teachers' guide, student sheet, video, quiz. Lesson 2: The consequences of recycling. 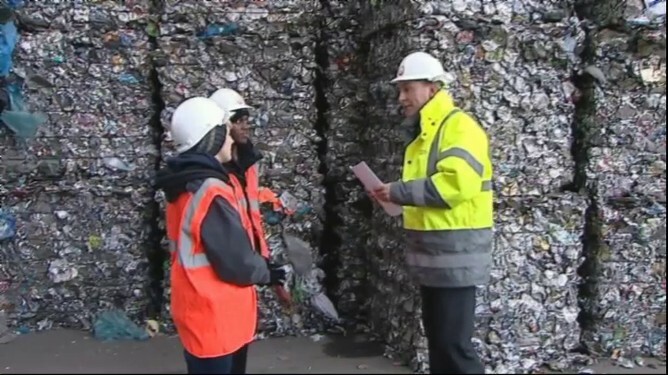 This lesson builds on the ideas introduced in lesson 1 and looks at the environmental context for recycling. Students use examples of packaging to build up a picture of what happens to waste packaging when it is sent to landfill, or alternatively when it is recycled. They build on this to consider the consequences of these actions at local and global scales.In the lesson, students explore the consequences of a decision to bin or recycle packaging. They discover what happens to their packaging, what this means for how we source and use natural resources, and some of the impacts this can create. The lesson includes extension task ideas for teachers who would like to research some of these consequences in more detail. You can also split this into two lessons if you prefer, starting the second lesson at ‘What if we recycled instead?